Laura Soleta has graciously shared these wonderful old photographs of Tamarack. 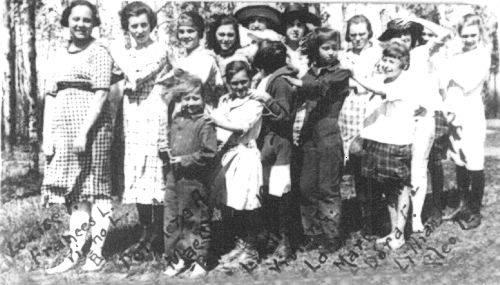 Tamarack School Children about 1919. Albert "Bud" Fairchild is first on left in the front row.